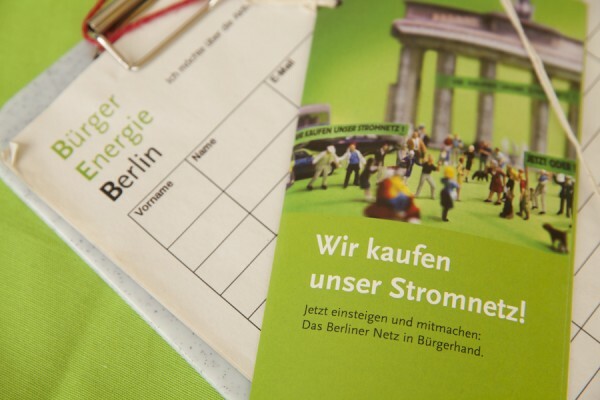 The deadline for indicative offers for Berlin’s electricity distribution grid endet on June 2nd 2014. Apart from Berlin Energie and Vattenfall the citizens’ cooperative „BürgerEnergie Berlin“ (Citizens’Energy Berlin) submitted an offer. The senate has to examine the offers, negotiate and decide whether Vattenfall will the expiring concession again for another 20 years or whether the citizens of Berlin will participate. 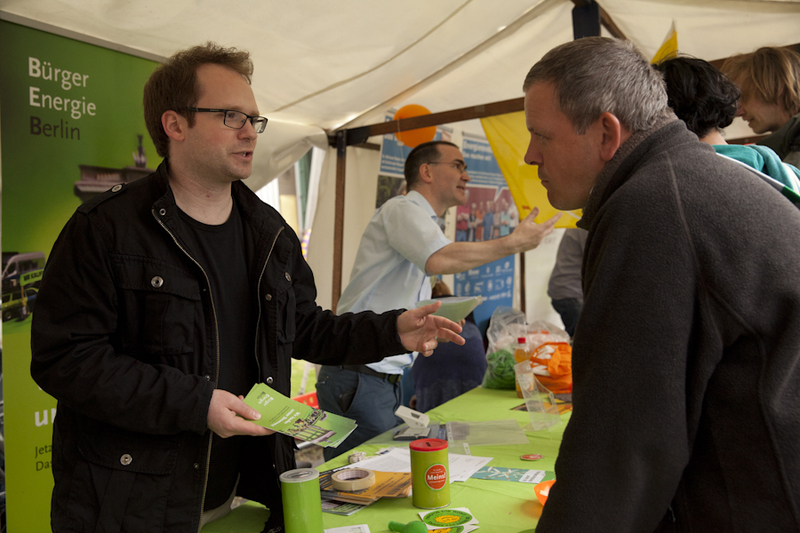 On my journey to the north of Germany I reached Berlin just in time for the energy transition rally on May 10th. Matthias Futterlieb, a campaigner and volunteer of BürgerEnergie Berlin, explained me the ambitious plan of already more than Berlin citizens, who want to acchieve a citizen-owned distribution grid in the capital. The „Elektrizitätswerke Schönau EWS“ (Schönau electricity company) are a kind of role model. However the initial situation has changed a lot in the last 20 years. „The EWS had to buy the local energy distribution grid to implement their concept of an ecological electricity supply and to withdraw the revenues of the grid from the previous operator“, explains Matthias Futterlieb, „that’s different today. Now every electricity distribution grid operator is obliged to also take electricity from renewable sources. With a larger proportion of renewable energy the role of the operator is changing. Now the electricity distribution grid operator has to anticipate changes in the mix of energy sources and manage them proactively. Work-to-rule is not enough anymore.